So I will be posting stuff from earlier in the year to start with. My Dad started using the term (junk jam) when he’s trying to do something and there’s several other somethings in the way! Let me give you an example of Dads (junk jams). You know like when you need to use one of your trailers, but there’s a Western star truck and lowboy in the way,and it’s to cold to start it today because the batteries are almost dead!! And you can’t get to the trailer from the other side because there’s two Ford pickups in the way and ones out of gas and the other one has a flat tire!! 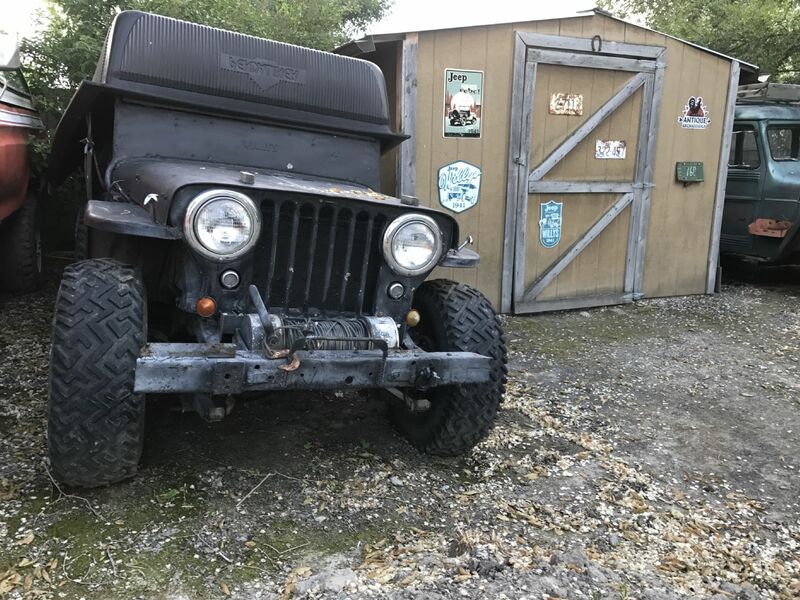 This picture is looking out the back door of my shop this summer..
What I have here is a total (JEEP JAM)!!! Man can I ever relate! I can't relate. I'm too envious of your Jeep jam!! 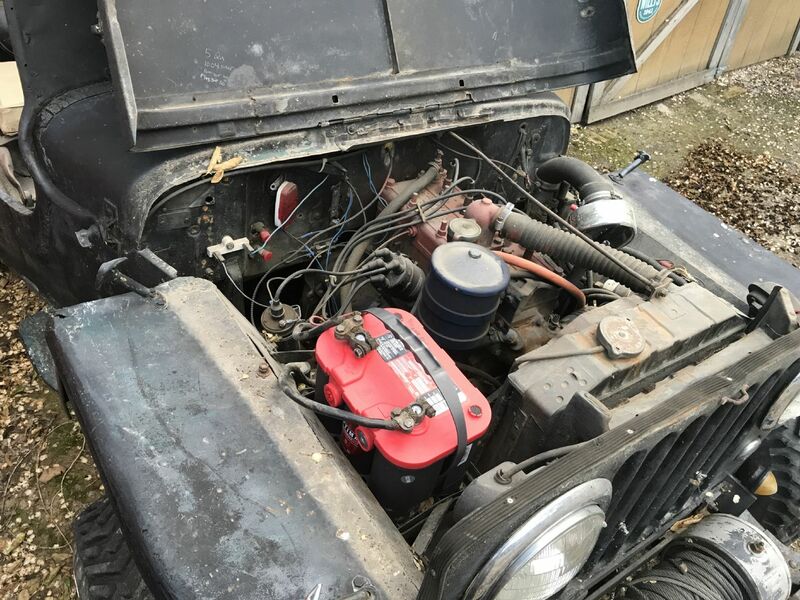 First project for the summer, figure out why 1946 cj2a -desert dog is such a sick puppy? Motor sounded like a diesel,clattering and rattling real bad. First step- get it started after sitting for about a year and drive it into my shop. That's a unique use for a pickup bedliner. Undoubtedly, quite effective. To my suprize it fired right up! After a quick rinse with the hose,I drove it into the shop. I thought the rattling must be coming from the valve train by the sound of it,but after pulling the cover off the side of the motor,I didn't find any bent valves or broken springs. So I pulled the timing cover.....And found the cam gear teeth worn thin and chunks missing from the crank gear! Not only that but the key way was worn sloppy on the cam shaft letting the cam gear move a lot and slight play in the crank key way! I could grab the cam gear and move it on the shaft,so I learned that loose gears meshing can cause quite a racket! The cam gear was paper thin in places I can't believe it ran so long like this. Ben, you could retire and run the Jeep Dude Ranch. 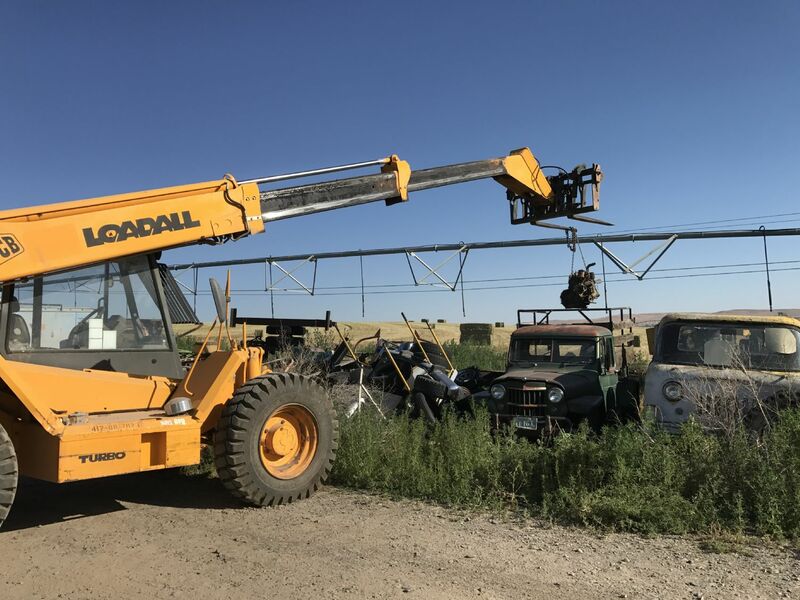 Folks would fly in for a week of driving different Jeeps and a bonus---------free maintenance training and general repair training. All figured in to their cost of staying. DAM, sure wish they still made those desert dogs. I couldn't afford them way back then, but they sure look good now! I even scored a set of jackmans to go with them! That looks like a fun collection! 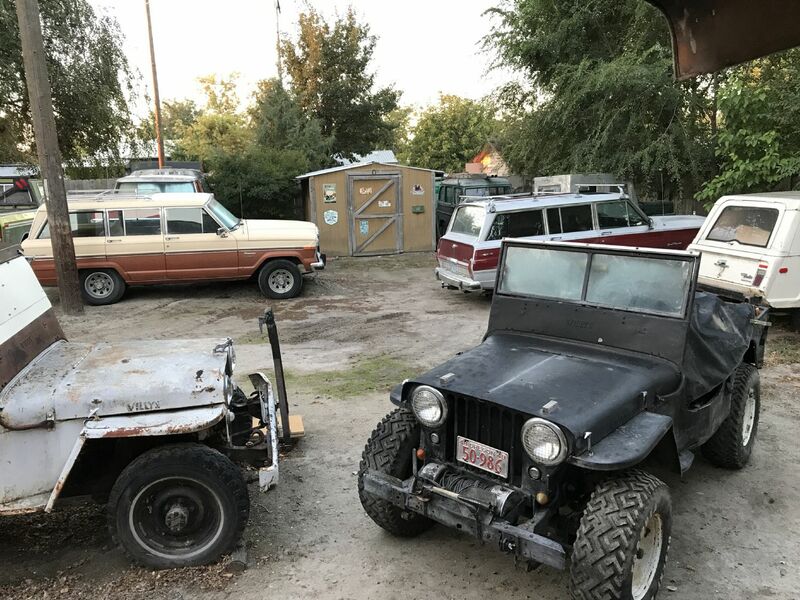 What's the story with the Willys wagon squirreled away in the corner? "Does anything catastrophic happen if the gears let loose? " 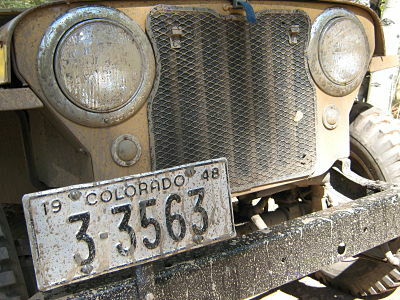 I like the way you think...jeep dude ranch. 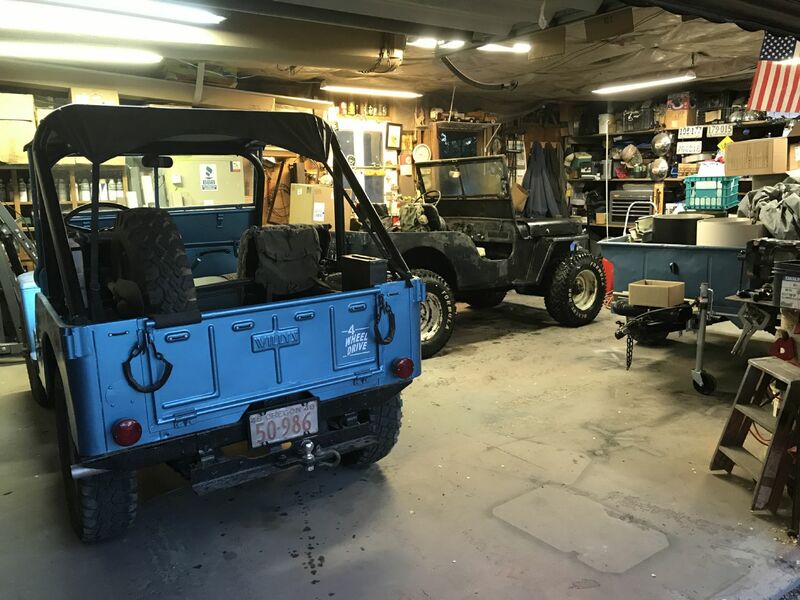 My Dad has actually been wanting to start a gold mining tour using his jeeps, where people can come and drive a jeep to a mining claim and pan for gold. He had some friends of a friend come and do this and they really enjoyed being able to drive a flatfender jeep around and do some panning. There members of a club that goes all over doing detecting and panning for gold. Apparently there's quite a few places around the USA that you pay a fee,Then camp and go on tours. Double check your crank pulley isn't rubbing the timing cover ,hopefully your gears don't look like mine. Google desert dog retreads. 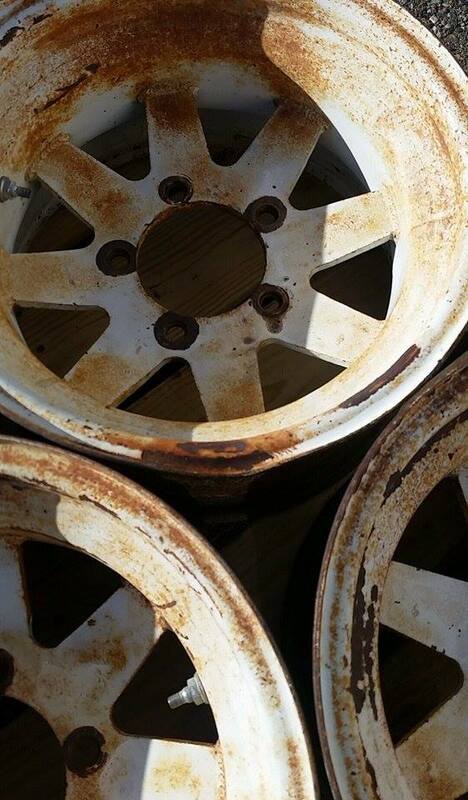 Cool wheels,I have a set that came on a willys wagon,and a 8lug set on my orange highboy Ford. 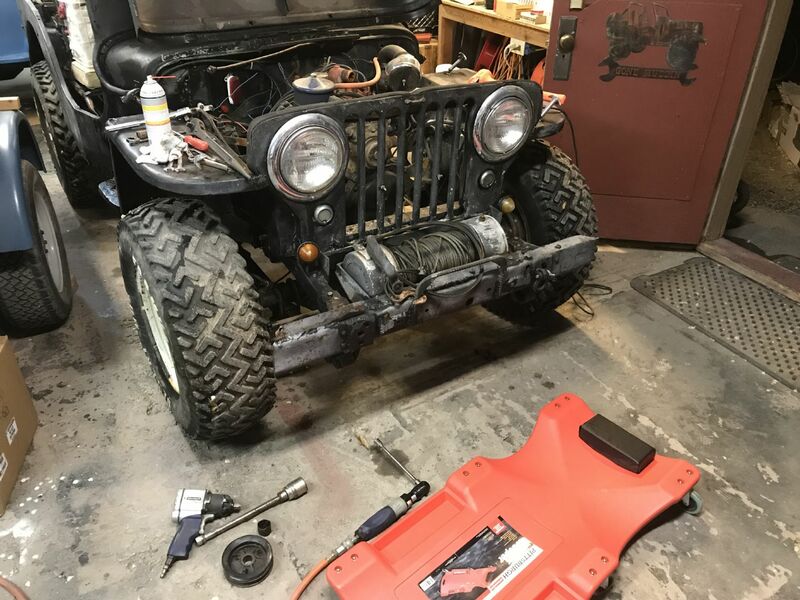 Willys wagon was supposed to get worked on the same summer I ended up getting desert dog! So that never happened yet. It's all original,some rust over rear wheels and totally worn out.Flat head 6cyl has a soft plug that's rusted out. 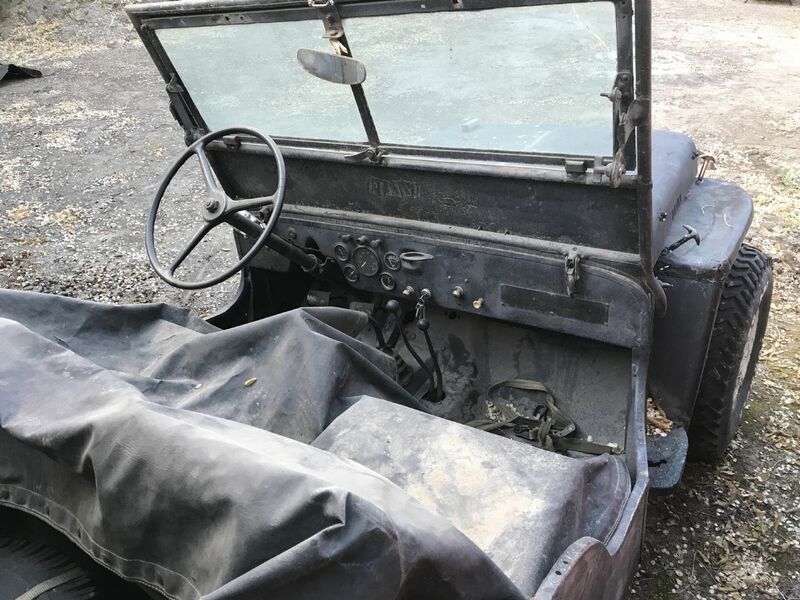 And needs all new brakes,you know all the normal willys stuff! 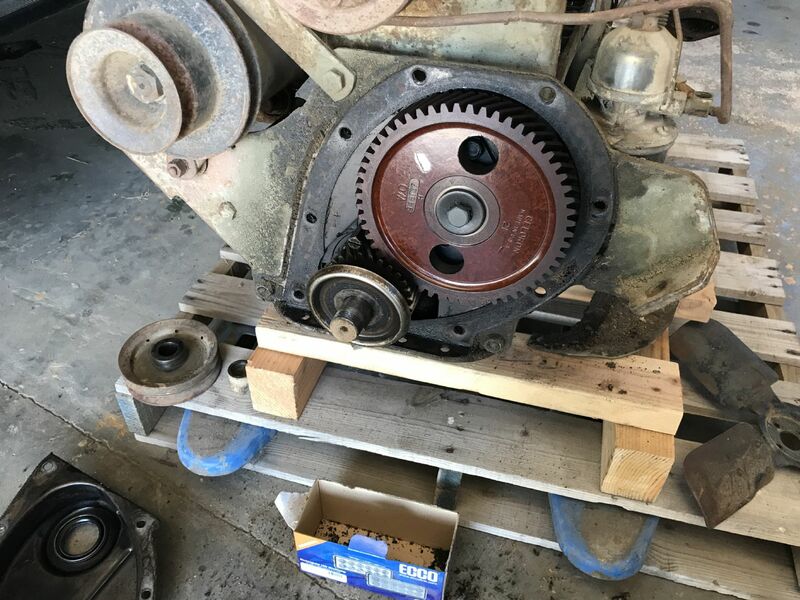 Well I definitely needed some different timing gears. So out to Dads I went to check for gears. First parts motor I checked was missing the timing gear. Luckily Dad had the perfect tool for the job! I am so jealous of your collection! I have a lot of work to do! I SOOOOOO wanted a set of Jackmans and Desert Dogs back in '75 too. Couldn't afford them then and then they both disappeared. 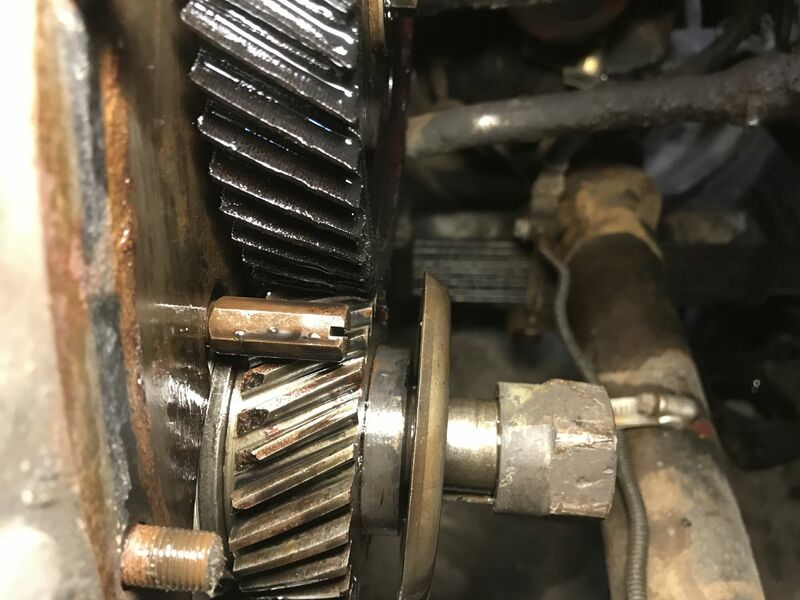 The f-head had good timing gears so I pulled them. I also scored a crank pulley guard,and timing cover and pulley with timing marks! 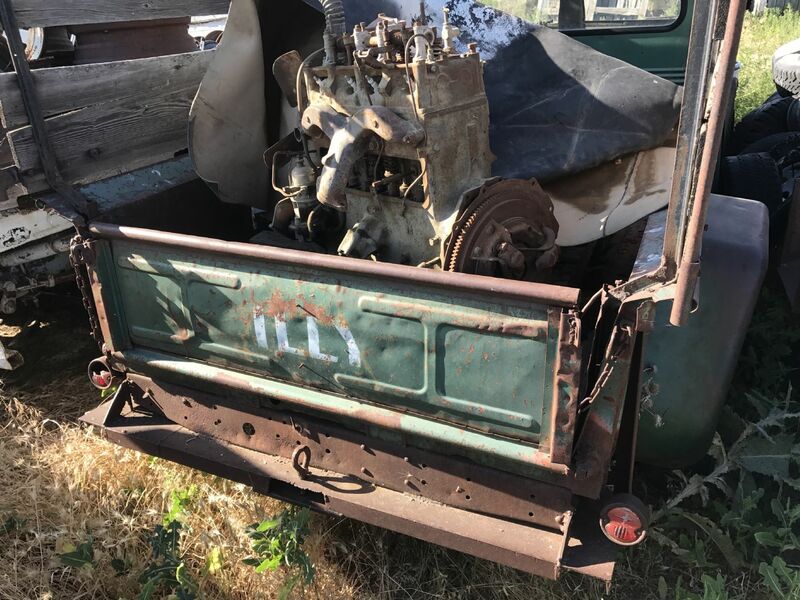 My brother and i picked up a set of basically new desert dogs a few years ago in a pile of ecj5 parts...they are on a '56 snowplow rig now...sweet rubber!